• No-of course jQuery didn’t fail me, I did! • Hey, I’m going mainstream! What's New in Programming Today? 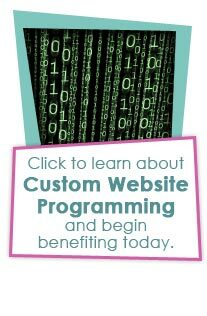 Programming equips your website with the tools it needs to help your business achieve high levels of success online as well as offline. Dynamic Digital Advertising (DDA) staffs industry-leading programmers who are proficient in all traditional and contemporary methods of web programming. As technology evolves, we stay up-to-date on the latest advancements to provide our clients with only the best in custom programming services. Whether you want a database to store sales information or an e-commerce site to maintain business transactions, our programmers are capable of doing it all. Possibilities are limited only to the imagination.